For statistics on recorded music, Billboard’s music charts have been the industry standard for decades. The magazine earned that honor with its continuous publication of weekly record charts beginning in the 1940s. Author Joel Whitburn’s published compilations of Billboard’s chart data through the years have boosted the music journal’s reputation as the top resource for historical information on commercial music recordings. 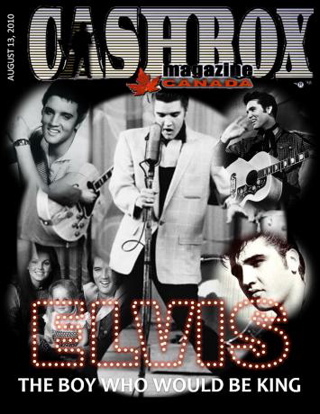 Cash Box magazine, a weekly music industry publication from 1942 through 1996, was Billboard’s leading competitor in charting records during the early rock era. From the late 1940s through the mid-1950s, both magazines published multiple pop singles charts, including juke box and best seller lists. In 1958, though, both publications consolidated their specialty charts into one lengthy singles chart. That year Billboard launched its “Hot 100” chart and Cash Box expanded its “Best Selling Singles” chart and changed its title to the “Cash Box Top 100 Singles.”Billboard’s “Hot 100” ratings were based on a combination of record sales and radio air play reports. Cash Box, however, continued to compile its “Top 100 Singles” solely on record sales. Since the two publications used different criteria for compiling their pop singles charts, they present slightly different versions of the chart history of Elvis Presley’s single releases. The Cash Box chart, based solely on record sales, provides a more objective record than Billboard’s, which depended on the subjective reports provided by disc jockeys around the country. A comparison of the Elvis’s recordings on Billboard’s “Hot 100” with Cash Box’s “Top 100 Singles” provides some new perspectives on the popularity of Presley’s singles from 1956-1977. 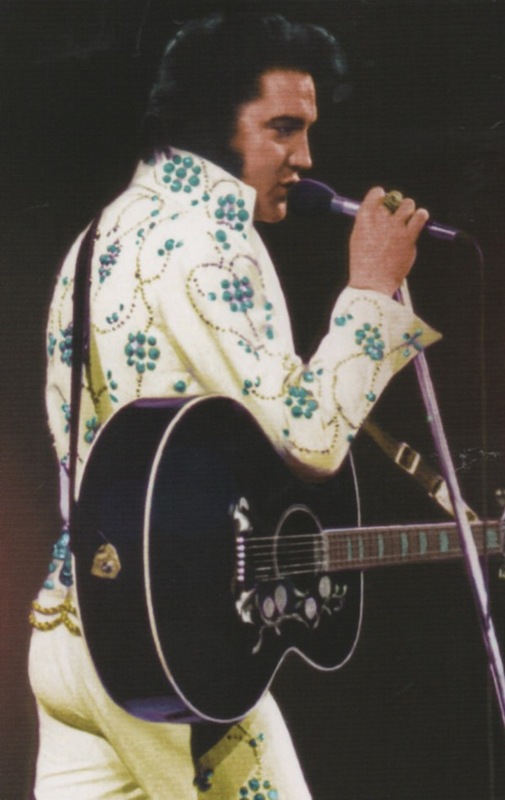 During that 22-year span, RCA released 79 regular issue Elvis Presley single vinyl records. At least one side of all of them appeared in both Billboard’s and Cash Box’s singles charts. A large majority of the flip sides of those releases also made both charts. Both charts also included a number of Elvis songs from his 45 rpm extended play records. However, there were still some obvious differences concerning Presley on the two charts. Cash Box also didn’t list two Presley flip side single recordings that did very well on Billboard’s chart. “Anyway You Want Me” reached #27 and “Doncha’ Think It’s Time” #21 on the “Hot 100.” They were absent from Cash Box’s list probably because their hit single flip sides, “Love Me Tender” and “Wear My Ring Around Your Neck” respectively, were given credit for all sales of the two-sided singles. 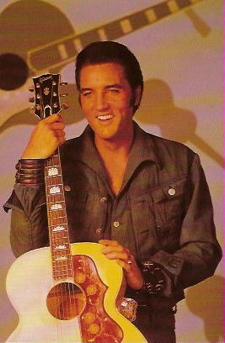 One significant Presley recording that Cash Box ranked highly on its singles sales chart but didn’t appear at all on the “Hot 100” was “King Creole.” As the lead song on a 45 extended play record, “King Creole” spent 13 weeks on the Cash Box “Top 100 Singles” chart in the summer and fall of 1958. It peaked at #20 on September 13, 1958. Despite the 18 titles that appeared in one chart and not the other, the final totals of Presley recordings on both charts were about the same. Billboard listed 134 Presley single titles between 1956-1977 and Cash Box listed 130 over the same time span. One big difference between the two charts, however, is in the key category of Elvis’s #1 records. 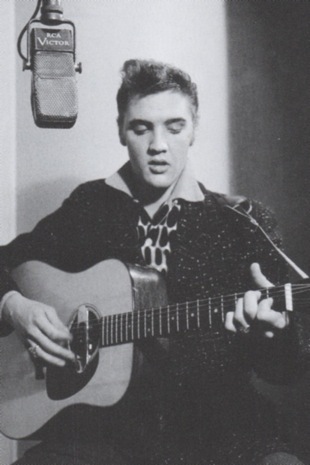 Thirteen Presley singles reached the top of both the Billboard and Cash Box charts. They were “Heartbreak Hotel” (1956); “Don’t Be Cruel” (1956); “Love Me Tender” (1956); “All Shook Up” (1957); “Teddy Bear” (1957); “Jailhouse Rock” (1957); “Don’t” (1958); “Stuck on You” (1960); “It’s Now or Never” (1960); “Are You Lonesome Tonight?” (1960); “Surrender” (1961); “Good Luck Charm” (1962); and “Suspicious Minds” (1969). However, Cash Box more than made up for denying “A Big Hunk O’ Love” #1 status by assigning Elvis 5 additional chart-topping singles that never reached #1 on the “Hot 100.” They were “Hound Dog” (1956); “Too Much” (1957); “Return to Sender” (1962); “In the Ghetto” (1969); and “Burning Love” (1972). All of those Presley records had peaked at #2 on Billboard’s chart, except for “In the Ghetto,” which reached #3. What’s more, Cash Box credited Elvis with having 8 consecutive #1 single records starting with “Hound Dog” in August 1956 and running through “Don’t” in March 1958. 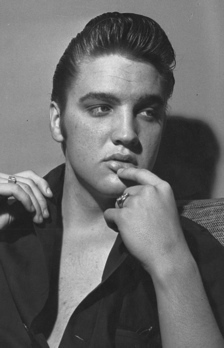 The longest #1 streak for Elvis on the “Hot 100” was 5 titles from 1959-1961. When it comes to singles that reached the top 10 on the charts, Cash Box was again more charitable towards Elvis than was Billboard. 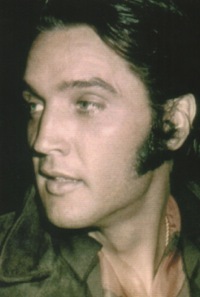 A total of 45 Elvis titles reached the top 10 of the “Top 100 Singles” chart, with just 38 achieving the same status on the “Hot 100.” Obviously, Presley’s heavy record sales, which earned him higher chart positions on Cash Box’s sales chart, was blunted somewhat on Billboard’s air play oriented chart by weekly DJ reports that were apparently a bit soft on Elvis. A couple of other differences in Elvis’s chart histories on the Cash Box and Billboard single record ratings resulted from the difference in how the two charts were compiled. 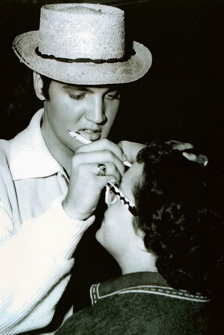 The first has to do with how long certain Presley hit records remained on the two charts. In the 1950s, Elvis’s big hit singles spent much more time on Billboard’s chart than they did on the Cash Box best seller list. For instance, the Billboard-to-Cash Box “weeks-on-chart” ratio for some of Presley’s early hits include “Heartbreak Hotel” 27-21, “Hound Dog” 28-21, “Teddy Bear” 25-16, and “Jailhouse Rock” 27-20. 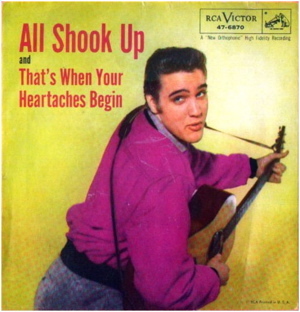 The biggest difference in length of chart run, however, goes to “All Shook Up,” which remained on Billboard’s chart for 30 weeks but stayed on Cash Box’s list for only 18 weeks. The natural assumption is that long after sales of these Elvis hits had run their course in the record shops and dropped from Cash Box’s sales chart, they continued to be popular on the radio. DJ air play reports to Billboard then kept those titles on that magazine’s list for an extended period of time. The fact that both sides of Elvis Presley singles record releases were often popular presented the Cash Box chart compilers with a dilemma. When a consumer purchased a two-sided 45, which side should be credited with the sale for chart placement purposes? There was no problem when one side was clearly more popular than the other. For example, it was obvious which song most buyers wanted when they purchased the “Return to Sender”/“Where Do You Come From” single in 1962. The credit dilemma came when both sides of the single were seemingly equally popular. Take, for instance, “Hound Dog”/“Don’t Be Cruel,” Elvis’s biggest double-sided hit. When the single began flying off record store shelves after its release in July 1956, Cash Box assigned all sales credits to the “Hound Dog” side. 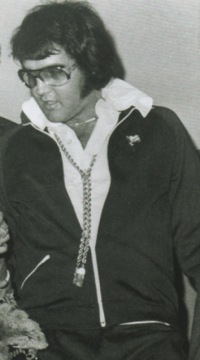 It was logical to assume teenagers were purchasing the record for that side, since Elvis had recently performed controversial TV versions of the song on both “The Milton Berle Show” and “The Steve Allen Show.” Elvis’s “Hound Dog” recording was already at #2 on the Cash Box chart by the time “Don’t Be Cruel” made its chart debut on August 11. Starting the next week, Cash Box listed “Hound Dog” as the #1 selling single record in the country for 4 straight weeks. As Elvis’s single continued to out-sell all comers, Cash Box began assigning sales to the flip side, “Don’t Be Cruel,” which moved into the #1 spot on September 15. 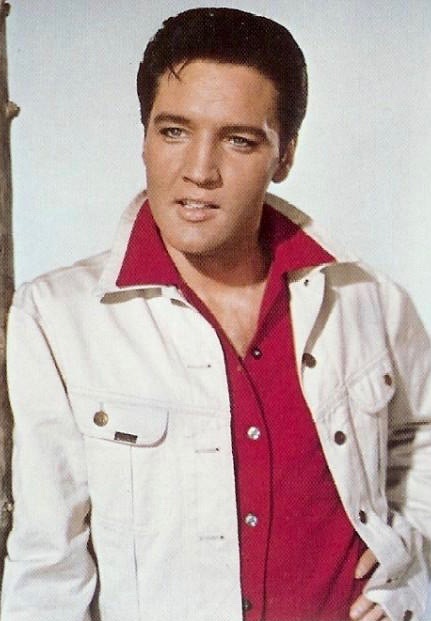 When that title remained atop the chart for 5 more weeks, it meant that Elvis’s “Hound Dog”/“Don’t Be Cruel” combo had been the nation’s top selling single record for 10 consecutive weeks. Things did not go so smoothly with Cash Box’shandling of some other Presley two-sided hits. 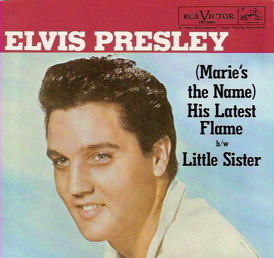 For instance, in the fall of 1961, RCA released Elvis’s “Little Sister”/“(Marie’s the Name of) His Latest Flame” single. 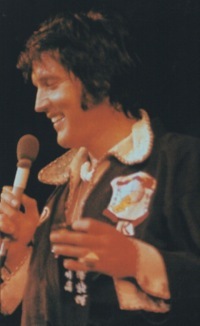 Both sides received heavy radio exposure and seemed equally popular with Presley fans. Using their regular combination of sales and DJ air play reports, Billboard rated both songs almost equally on the “Hot 100.” “Little Sister” was on the chart for 13 weeks, reaching #5. “His Latest Flame” charted for 11 weeks and peaked at #4. Cash Box, however, apparently chose to assign the majority of the record’s sales to the “Little Sister” side. As a result, although both sides were on the Cash Box sales-only chart the exact same number of weeks they had been on the “Hot 100,” “Little Sister” peaked at #5, while “His Latest Flame” stalled out way down the list at #21. It this case, the Billboard rating system probably provided the clearer picture of the record’s two-sided popularity. "The Cash Box chart, based solely on record sales, provides a more objective record than Billboard’s, which depended on the subjective reports provided by disc jockeys around the country."